The third of the annual Grand Tours is waiting for you at the Vuelta a Espana Bike Tour in Asturias and Avila Spain! 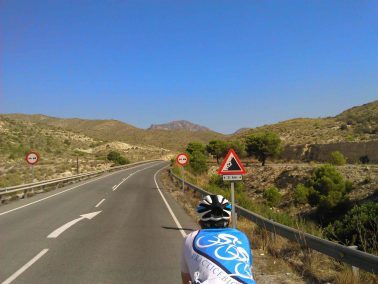 Ride amongst the action this September in tranquil Spain at the 2019 Vuelta a Espana with the ultimate quality bike tour from Practice Bicycle Tours. 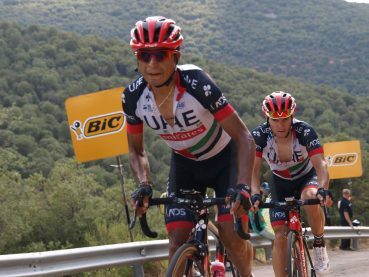 The challenging 2019 Vuelta a Espana will be decided in the final 10 days on the roads of Asturias and on the mountains of Castile León around Madrid. Escape the norm and immerse yourself in authentic Spain with this premium quality small group bike tour experience. 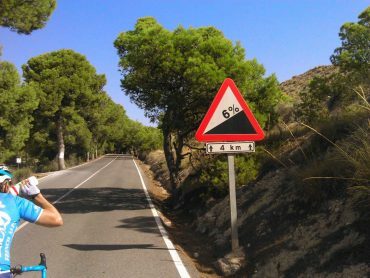 Climbs, Action and the unexpected it has to be the Vuelta a Espana the third of the 2019 Grand Tours set amongst the unique atmosphere and landscape of Spain! This 74th edition with 21 stages covering 3,272km and many new summit finishes expect one of the most exciting Vuelta’s. With a variety of contrasting stages and race viewing opportunities available to you, join all the excitement and fun of this 2019 Vuelta Espana Bike Trip. Looking for race action in the French Alps in July? Join us for the Ultimate Tour de France Bike Race Trip, on the shores of spectacular Lake Annecy in the French Alps for the biggest bike race on earth in style! Available Packages All our prices are Australian $ per person based on twin share accommodation. If you are an individual guest, a single room surcharge will apply. 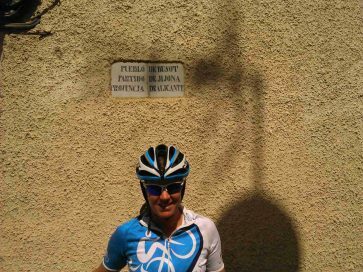 Our Vuelta a Espana Non Cycling tour package is for any fan of world class cycling who does not wish to ride and prefers to spectate during our 2019 Vuelta a Espana Bike Tour. 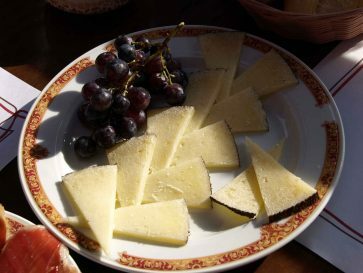 The perfect solution for a non cycling wife/husband/partner to accompany the bike tour rider on their spectacular Vuelta a Espana cycling holiday whilst in Asturias and Castile León. We really love cycle racing in Europe and Practice Bicycle know bike racing!. Our Vuelta experience was perfect, it was the first time visiting Spain and we rode, watched the Pro's and our hosts new all about what's going on within the race. It was so relaxed, yet organised just how we like it. You guys are the best! 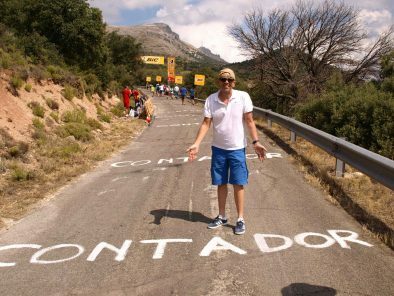 The Vuelta a Espana was brilliant looking forward to the next tour! Below is the 2018 itinerary! Don’t miss out this September and register above. 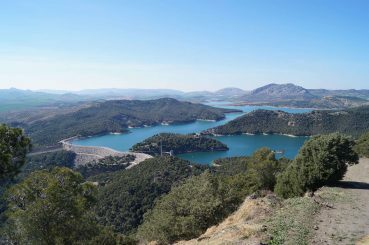 Welcome to Andalusia and the La Vuelta a Espana 2018, a short transfer from the Airport takes you into the heart of Southern Spain and the ‘white village’ of Ardales, a complete contrast to the popular tourist destination of the Costa de Sol. Ardales is a maze of narrow streets, little houses with terracotta roofs a great village to experience the authentic relaxed culture of Spain, whilst you ride amongst all the race action at the 2018 Vuelta. Should time permit enjoy your first Andalusian ride or relax with a cruzcampo (beer) or Rebujito (Sherry Cocktail) amongst the locals, over shadowed by the huge ‘Ardales’ rock and the castle. 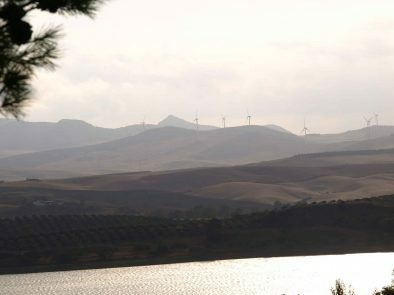 This evening enjoy a welcome drink & dinner overlooking the stunning Guadalhorce Reservoir. 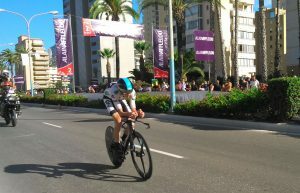 La Vuelta Espana begins today with a race against the clock and a 8km individual time trial around the landmarks of Malaga. This will be the third occasion that the Tour of Spain has started in this coastal town after 2000 and 2006, although more recently both Peter Sagan and Philippe Gilbert have won here. 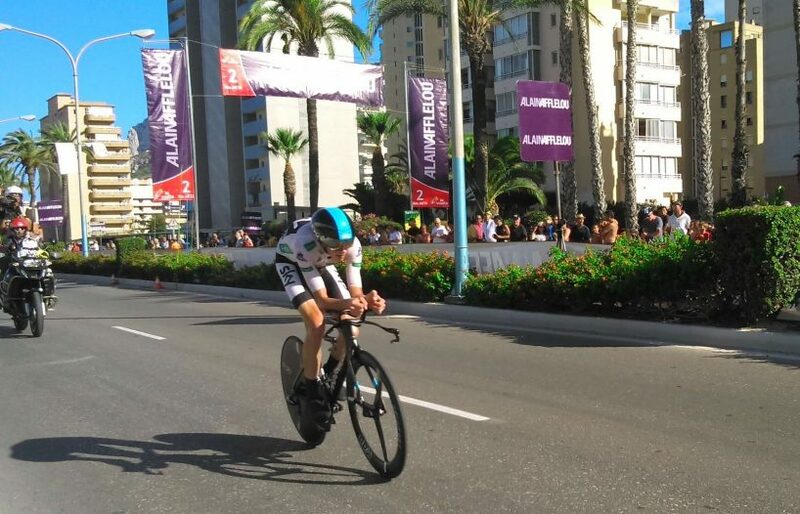 Our ride route today is longer than the professionals and nearly all downhill as we head to the coast and our ‘unique live viewing spot’ to catch all the stars of cycling close up as they race the opening Time Trial on the streets of Malaga. 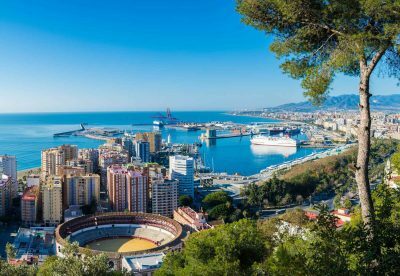 With the grand tour contenders and TT specialists riding at maximum speed they won’t have the same luxury as yourself to enjoy the highlights of Malaga, the start at the Pompidou Centre art gallery, the Mediterranean beach or the 10th century Castillo de Gibralfaro. 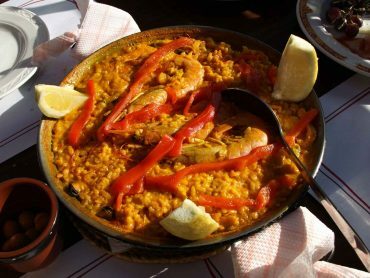 With this super-fast race day and glitz of the Costa del Sol, cap off the day with Spanish flavours of the coast and relaxing lunch together. It’s the GPM finish that we look forward to today and with the race route passing by Ardales a selection of superb ride options are available including sections of the race route to the finish line at Caminito del Rey all amongst the stunning landscapes of Andalusia. 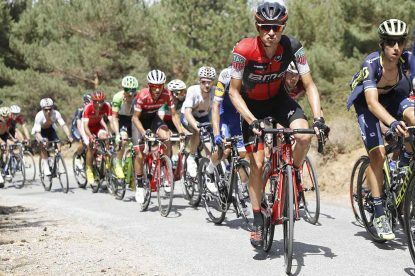 La Vuelta a Espana 2018 route does not allow the peloton to ease into this third grand tour of the season with the second stage forcing the climbers into action all the way to the summit finish. In 2015 Esteban Chaves won on this climb by over 30 seconds to Quintana, Froome, Nibali and Aru. We can expect the red jersey contenders to be at maximum effort over the final 3.4 km climb at an average of 7%. With our own legs excited by the thrilling roadside action of the Vuelta, enjoy dinner together at one of the local restaurants in Ardales. 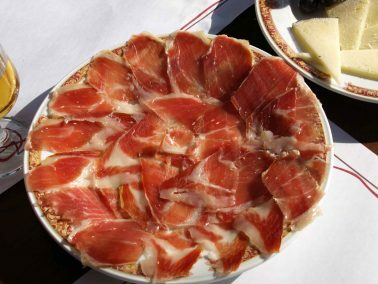 Includes: Breakfast, Restaurant Lunch in one of Spain’s most beautiful cities! Today, Stage 3 of the Vuelta a España shows how difficult this 3 week bike race really is, has it’s titled a ‘Hilly’ stage and also one of the few opportunities for a sprinter to win at this years Vuelta! Starting and finishing on the coast with a route through the spectacular Andalusia landscape offers you a great variety of race viewing opportunities during this opening week of the Vuelta 2018. Pick your ride distance and experience a great route around the Sierra de las Nieve natural park taking you to your ‘unique live viewing spot’ and all the race action. What a perfect day in Spain, superb riding, live action of the Vuelta peloton and the mountaintop city of Ronda a day full of highlights deserves the perfect lunch to end the perfect day. Today is your last Vuelta viewing day with the golden opportunity to see a stage start in Velez-Malaga, often a highlight for many of our guests as you explore amongst the world class teams of professional cycling. It’s a unique opportunity to see behind the scenes of a 3 week Grand Tour bike race and all the preparation required of both riders and equipment prior to their day in the saddle. Enjoy the presentation of the riders at the sign-on podium, grab that classic memento photo of your favourite stars or say hello to your heroes of the road! This maybe the perfect way to end your 2018 Vuelta adventures or take the opportunity of one last ride together into the hinterland of the Costa del sol before we celebrate a wonderful Spanish cycling holiday experience together over dinner. Departure Day and It’s unfortunately time for your Vuelta a Espana 2018 to draw to an end and your relaxed Spanish cycling adventure as we transfer you to the Airport and your homeward travel, ‘ adiós’ from PRACTICEBICYCLE until the next time. Practice Bicycle choose hand picked, quality, 3* Hotel Mesón La Posada del Conde accommodation located in the heart of Andulacia. The ideal location to make your Vuelta a Espana 2018 a trip of a life time! With all the excitement and energy during your bike race tour at the Vuelta Espana we include only the very best location for you to relax and get ready for another action packed day! Should you have the additional energy to explore then Spanish culture is part of each day’s adventures, wander the villages, relax amongst the locals or explore some of Spain’s most famous landmarks. Whether you have years of cycling experience or are just new to the bike, as long as you are excited by the best cycle racing in the world, this trip is for you! Each cycling route during your Vuelta a Espana Bike Tour will be tailored specifically to your bike riding ability and experience, including the opportunity of riding on parts of the stage route. So you can have a challenging ride or a comfortable ride – the choice is yours. We enjoy a challenge as much as we love cycling. The team at Practice Bicycle has a history in professional bike racing and coaching. Your host Bridget Evans spent many years racing professionally including participating in the Giro d’Italia Donna & Grand Boucle Femmine (Women’s Tour de France). So if it’s a challenge you are looking for, we can definitely find just the right rides for you. We offer a choice of daily tailored rides to meet the experience of our cycling guests, including actual sections of the Vuelta a Espana race routes. The Practice Bicycle team have a world of cycling experience in developing great routes for cyclists of all levels with over 20 years cycling on the roads of Europe. To get an idea of what sort of rides you will be doing, take a look at the Itinerary above. 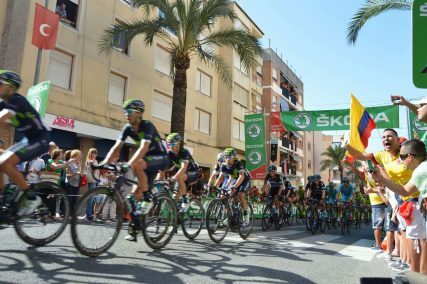 As a Vuelta a Espana Non Cycling guest and bike race fan you experience all the spectacle, excitement and action up close and personal of the bike race live. Our support team will share with you culture and villages on route whilst catching up with the cycling group at our ‘Unique live viewing spots’ and handpicked restaurant lunch together. Why do you choose to watch 4 stages at the La Vuelta bike race tour? Our specialty bike race tour includes viewing the Vuelta a Espana bike race on 4 stages. in 2018. With our proven formula of ‘Unpack once – Cycle everyday’ this is the perfect ratio of maximising your enjoyment of viewing the race action live, contrasting with your own variety of personally tailored rides and the opportunity of enough time to relax and experience your Spanish cycling vacation. Experience for yourself riding the Andalusian roads of Spain, including parts of the 2018 Vuelta Espana race route. Visit and explore two of the most contrasting cities of Spain, the popular coastal resort of Malaga and the dramatic breathtaking hilltop city of Ronda. Stage 1 – Super speed of the Malaga TT, Stage 2 – Maximum effort on the slopes of Caminito del Rey, Stage 3 – Peloton power over the hills of Ronda, Stage 4 – Relaxation on the Vélez start line. The spectacular Caminito del Rey cliff face gorge walkway, hanging 100 metres above the Guadalhorce River. Only for those with a head for heights!